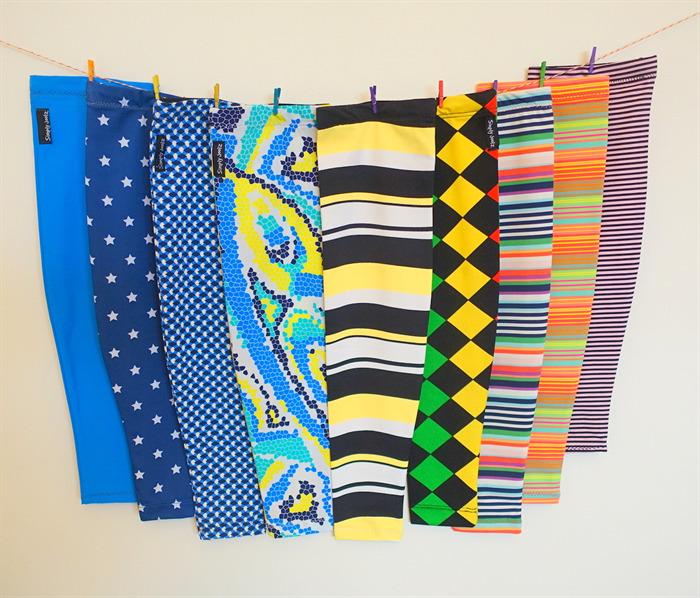 Simply Joolz sunsleeves are made of lycra and offer great protection from the sun. You can pull them on and off according to the weather and the sun. Lycra has high UV sun protection qualities. Other bright multi-colour sleeves available - see last 2 photos.. email: julie@simplyjoolz.com.au for more info.